This weekend we have encountered the friendliness of France. At the Festa Trail, just north of Montpellier, we presented the Adele collection to the right people - the ones that are able to run up to 120 km. 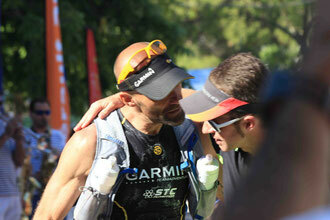 Endurance and power: some of them were on the trail for more than 25 hours, passing the arrival-line with a smile. We were especially happy to meet the organizers of the Festa Trail, Lisa was especially proud to have a speech in front of the mayor of the city (including applause for her French) and we were included in the community of young entrepreneurs, special thanks to "place du village" and "timbo".